How many have had a relationship that we trusted as being a Christian one, only to be taken by surprise as we were clinging to the words of Christianity we were familiar with yet somehow really weren’t a believer after all. ( 1 John 4:1-3). 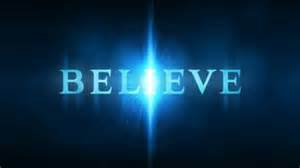 Beloved, believe not every spirit, but try the spirits whether they are of God: because many false prophets are gone out into the world. Hereby know ye the Spirit of God: Every spirit that confesseth that Jesus Christ is come in the flesh is of God:And every spirit that confesseth not that Jesus Christ is come in the flesh is not of God: and this is that spirit of antichrist, whereof ye have heard that it should come; and even now already is it in the world. Those who love righteousness and hold to the faith of the Lord Jesus Christ and are not ashamed of the gospel as salvation is given to those who believe. (Romans 1:16,17). For I am not ashamed of the gospel of Christ: for it is the power of God unto salvation to every one that believeth; to the Jew first, and also to the Greek.For therein is the righteousness of God revealed from faith to faith: as it is written, The just shall live by faith. The power of God is through his Son which either condemns or saves as it is our own choice to believe in the light (Christ) God has sent for the saving of all mankind. If anyone chooses evil is blatantly denying the truth that would of set them free! (John 3:16-21). Some unfortunately are under the impression once saved always saved, yet we have an example of the Lord saving the Israelites and some still that did not believe were destroyed. (Jude 1: 5). I will therefore put you in remembrance, though ye once knew this, how that the Lord, having saved the people out of the land of Egypt, afterward destroyed them that believed not.